The Vande Bharat Express - India's first semi-high speed train - began its first commercial run on Sunday, a day after it broke down on its way to Delhi from Varanasi. "Vande Bharat Express left Delhi for Varanasi today morning on its first commercial run. Tickets sold out for the next two weeks already. Get yours today!" tweeted Railway Minister Piyush Goyal. In a detailed press release issued on Saturday night, railways said during the transportation back from Varanasi it was stopped at Chamraula station of National Capital Region, about 18 kms after crossing Tundla station. 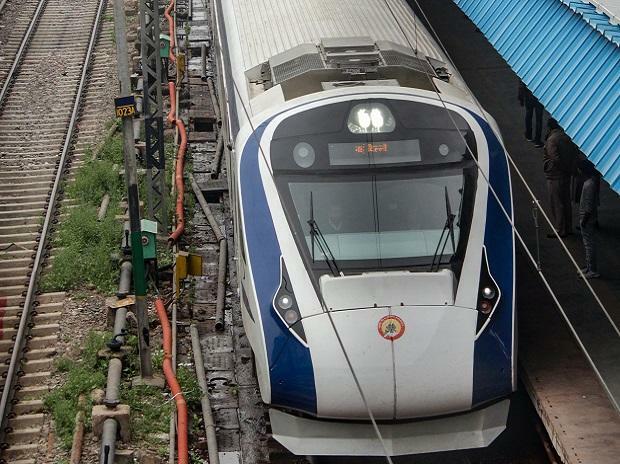 Train 18, which was recently rechristened Vande Bharat Express, had left Varanasi Junction for Delhi at 10:30 pm Friday, nearly 45 minutes after reaching the holy city on its inaugural journey. The first breakdown occurred around 15 km from Tundla junction in Uttar Pradesh early morning. "It was a case of skidding wheels after the train ran over cattle," Northern Railway CPRO Deepak Kumar had said in the morning. They said before the train came to a halt, its end coaches started making a rattling sound. "There was some smell in the last four coaches which had no power. Also, some smoke was noticed. Loco pilots decreased the speed for some time. I heard the officials talking about brake malfunction," a source on the train said. In a war of words over the train last night, Congress President Rahul Gandhi had tweeted, "Modi ji, I think Make in India needs a serious rethink. Most people feel it has failed. I assure you we in the Congress are thinking very deeply about how it will be done." In a quick response, Goyal tweeted - "Such a shame that you choose to attack the hard work and ingenuity of Indian engineers, technicians and labourers. It is THIS mindset which needs a reset. 'Make In India' is a success and a part of crores of Indian lives.